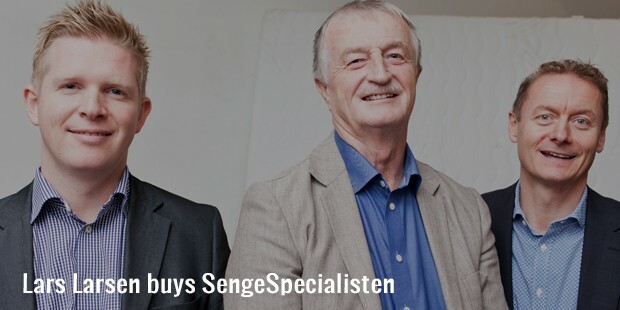 Nicknamed as Duvet Larsen, Lars is the founder of Jysk,a retail chain that sells bed linens, mattresses, beddings and home furnishings. It has a presence across 37 countries worldwide. 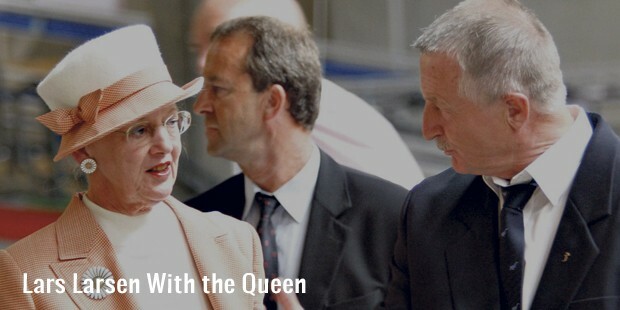 He started his career as an apprentice, and invested his savings to open a full-fledged business in 1979. Lars Larsen is one of the richest person in Denmark. Born and raised in Denmark, Lars Larsen spent a major part of his childhood in a potato farm. He had an exceptional business skills from a young age. Although he did not have enough money to start a business, he had many ideas in his mind. During his younger years, Larsen worked as an apprentice in a bedding store, and saved money from his wages. 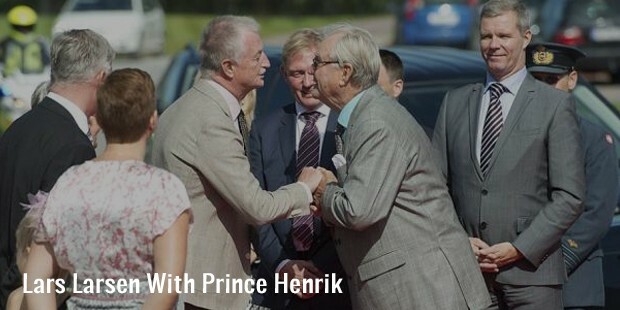 He used these savings to open the first Jysk Sengetøjslager in 1979, which is operational in Aarhus even today. The store was an exceptional success, second store was opened only 14 days after first and third store was opened 2 weeks later. Right from the beginning, Lars aimed at opening an entire chain of outlets for bed linen. Today, known as JYSK, Lars’ chain includes an exclusive range of furniture lines, home furnishings, mattresses, beddings, etc. 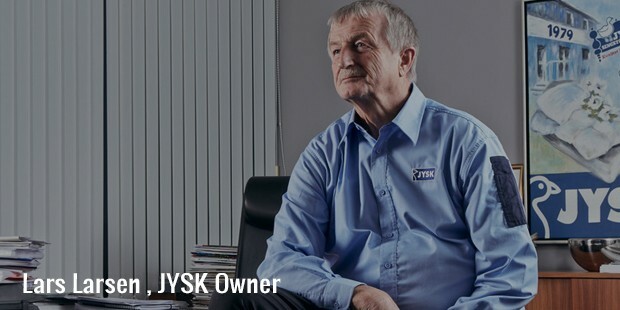 As IKEA gained success, Lars was convinced to expand his JYSK to an international level. JYSK has 2200 stores in around 37 countries across the globe, and is soon to enter the Chinese market. 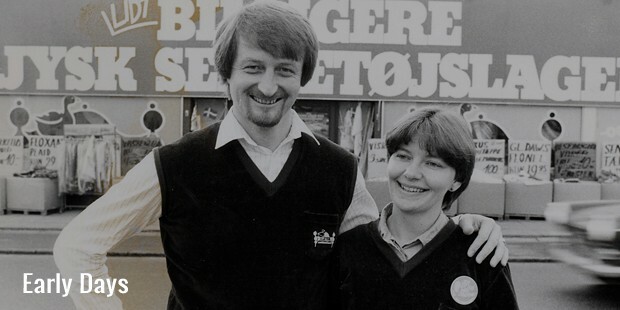 In order to commemorate 30 years of his business, Larsen published his own autobiography titled ‘30 years with JYSK’, translated it into 8 languages, and sent it to every Denmark house absolutely for free. Soon, it became one of the best selling books of Denmark. In addition to his business activities in JYSK Group, Larsen is also the owner of Himmerland Golf and Spa Resort, and Bolia.com. With a net worth of US $ 4.2 billion, he has become one of the richest businessmen in Denmark. His company has presence in the international market with different names, and is operational on a franchise basis too. 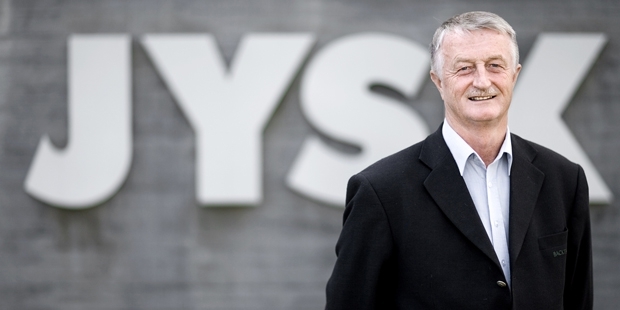 Lars Larsen is the owner, founder and also the chairman of board at JYSK. It is a leader company in the industry of home furnishings and beddings.Taking advantage of the increasing popularity of Scandinavian designs, he is emphasizing his Danish roots in the store displays, especially in China. Lars lives with his wife and 2 children in Silkeborg. Recently, he was names by Forbes as the 435th Richest Man in The World. Larsen was also knighted in the Order of the Dannebrog. Lars still serves as the company’s owner and regularly makes appearances in TV commercials. His biography has become an inspiration for all the aspiring entrepreneurs.